Opening Ceremony gives your boring old shirt an injection of pattern and color with this black Custom Medallion necktie. 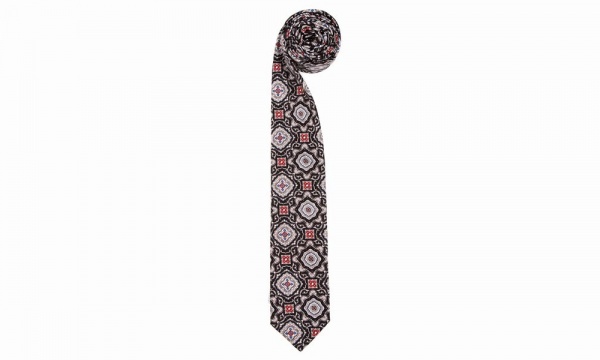 A mid width tie with gorgeous intricate patterns throughout, this tie will add plenty to any outfit it’s paired with. Available online now. This entry was posted in Accessories, Ties and tagged Black, Custom Medallion, Opening Ceremony. Bookmark the permalink.